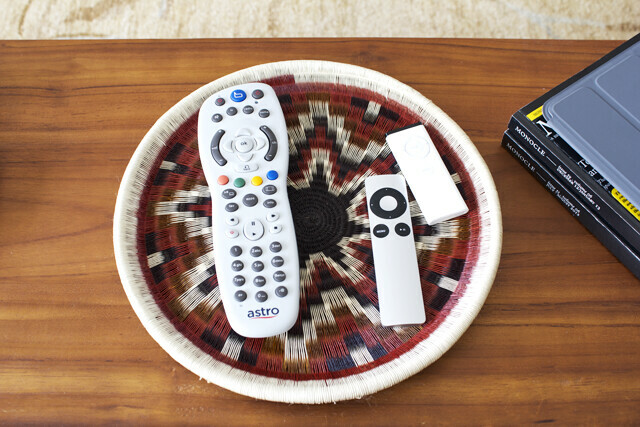 What's a trip without bringing home a few souvenirs? These treasures from Colombia - a beautiful representation of the weaving done by indigenous women of the country - are adding so much life to our home ... and my wardrobe. 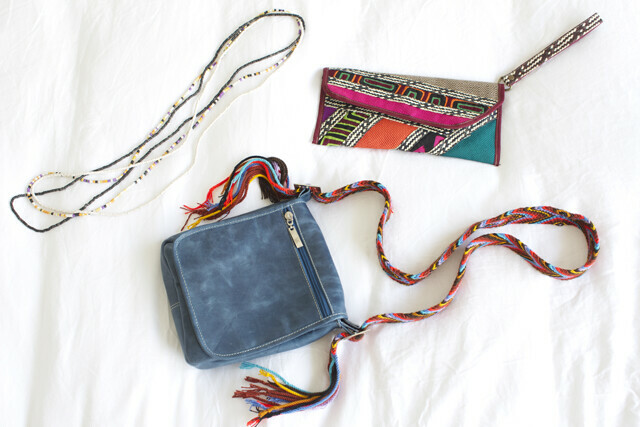 The blue cross-body bag's leather was stitched in Bogota but the colorful strap was woven by the Wayuu women who are known for their large bucket-style purses and skillful hamacas. 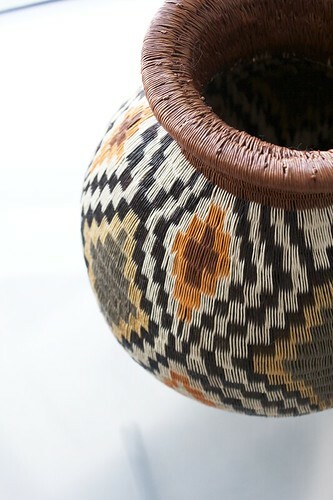 The home accessories were made by women of the Waounan tribe in the department of Choco. 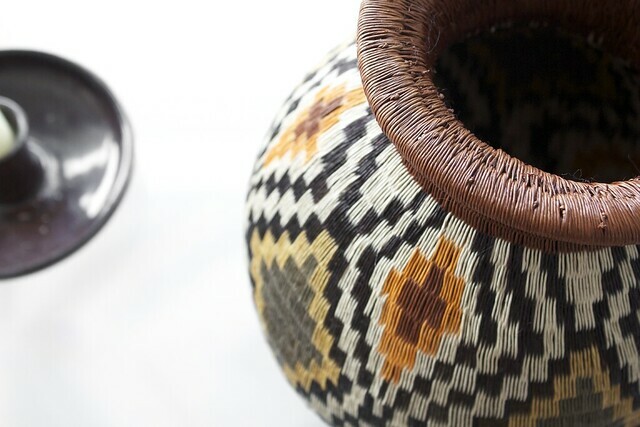 The palm fibers used to create these beauties are woven so tightly that the vase piece we bought could hold water without leaking! Amazing. The one store we loved unfortunately doesn't have a website. Such a shame since their products were all so modern leaning and tastefully done and displayed. But, if you find yourself in Cartagena, their address and phone is below. 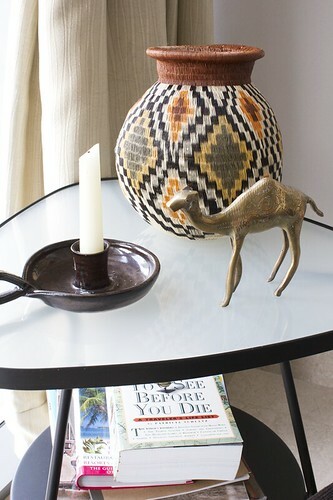 If you'd like to shop for a vase of your own online, here are some shops that carry an assortment: one, two, three.